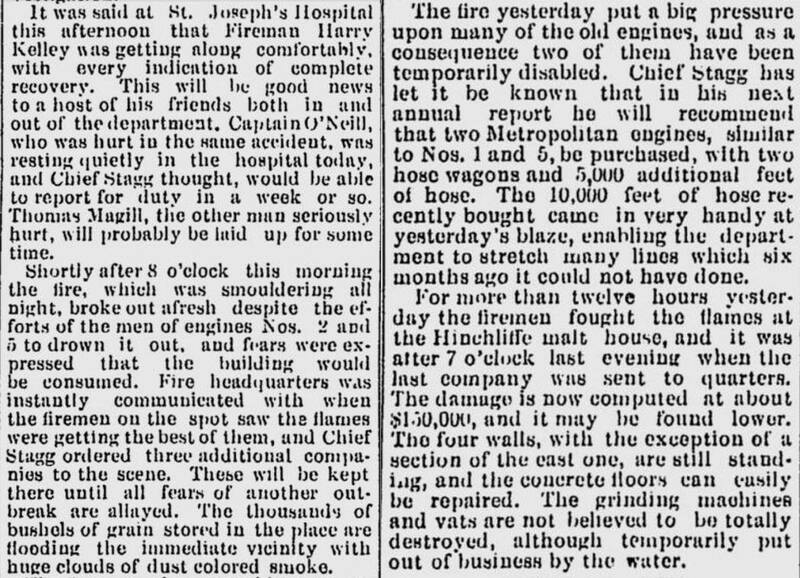 The following is the local newspaper accounts of this major fire and what also occurred in the subsequent days. 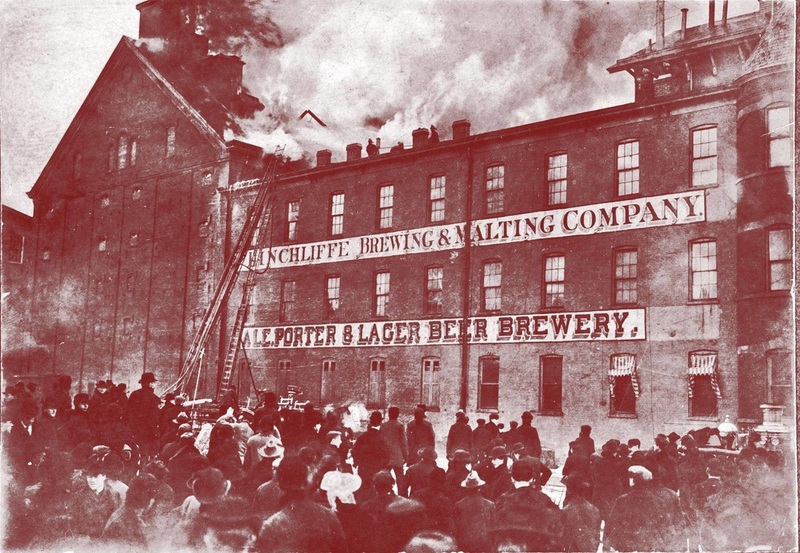 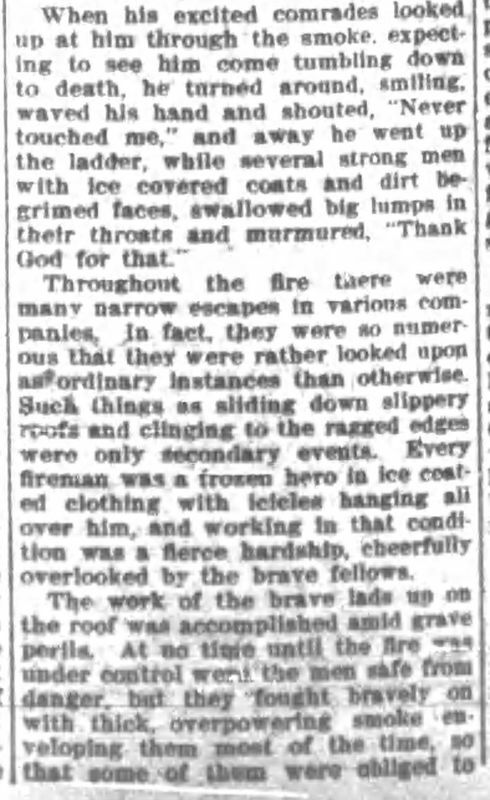 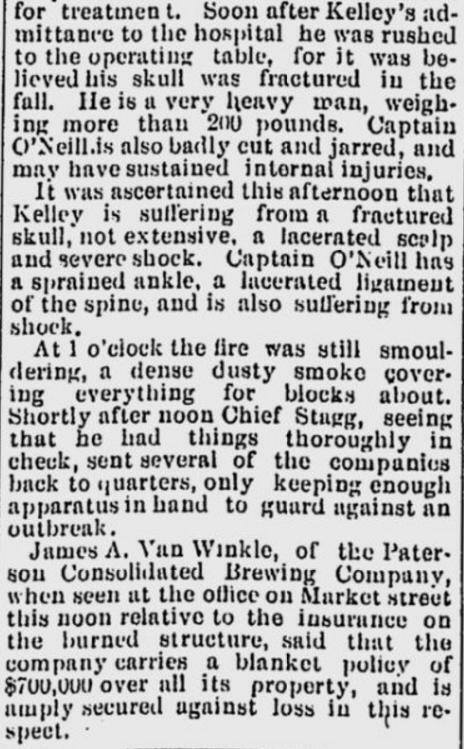 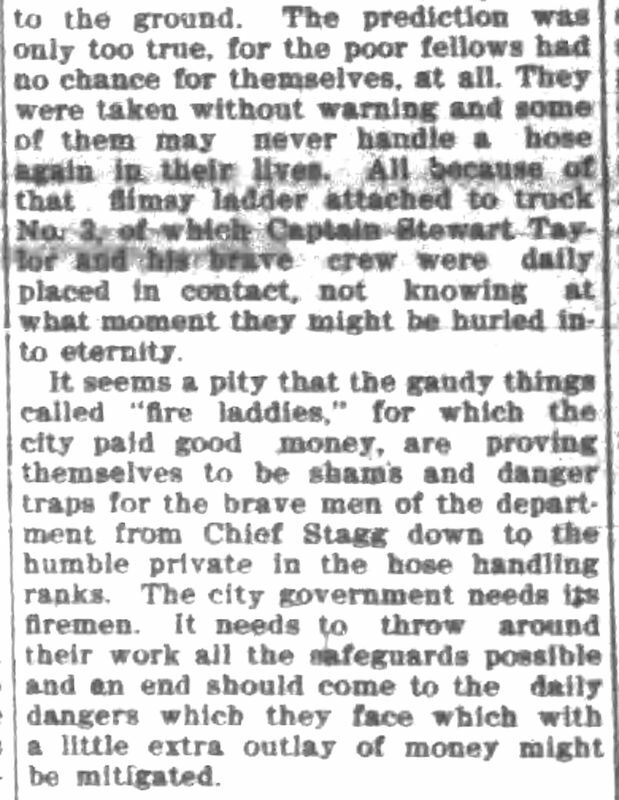 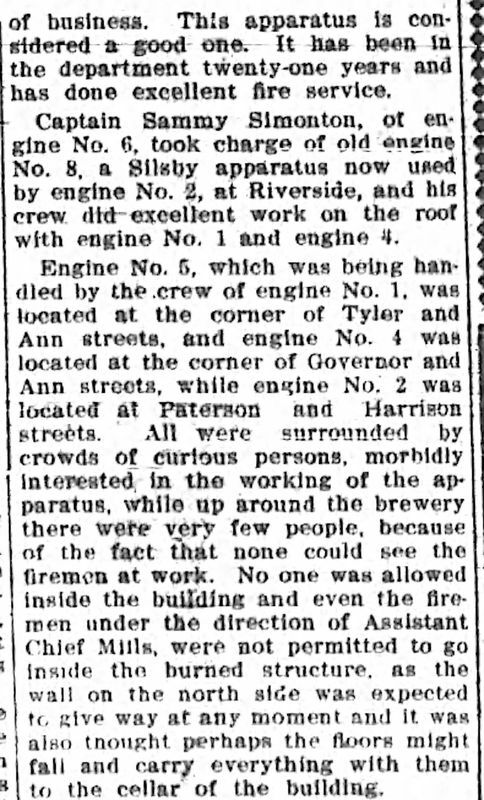 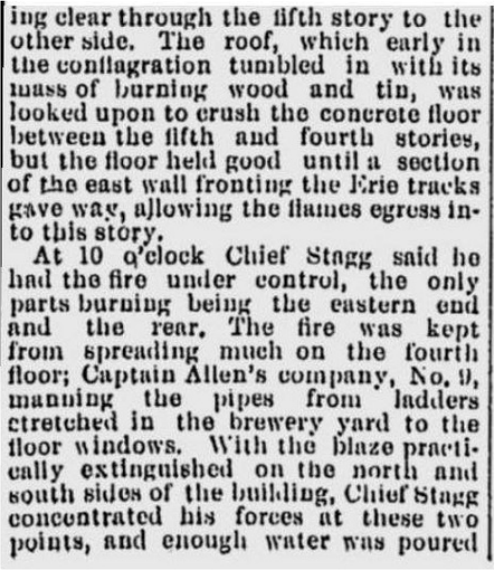 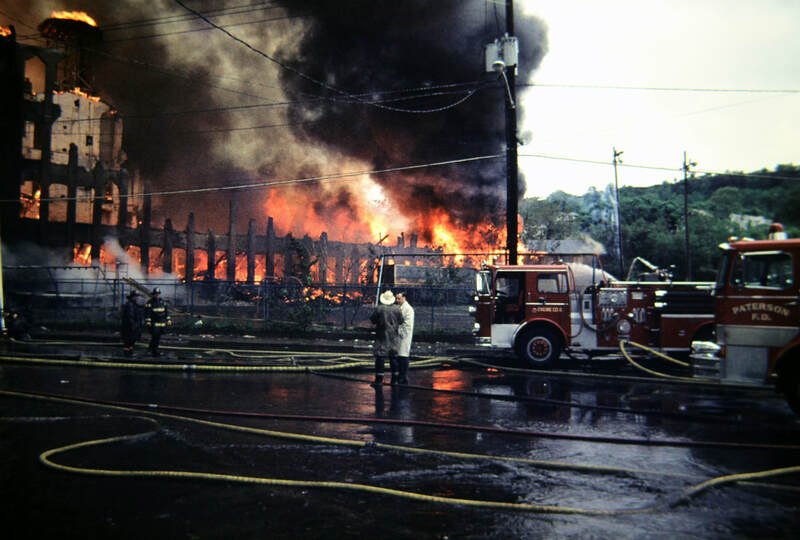 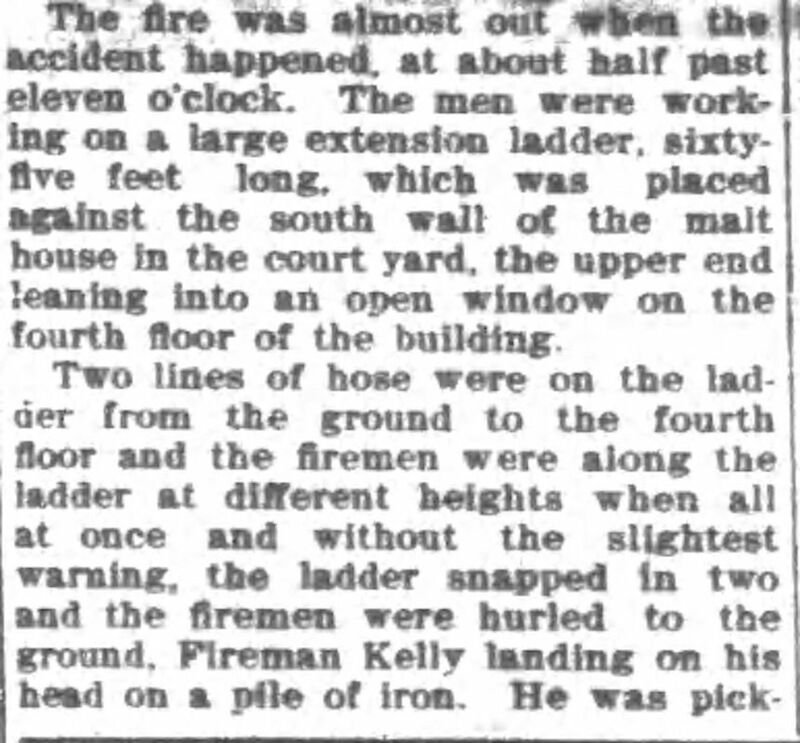 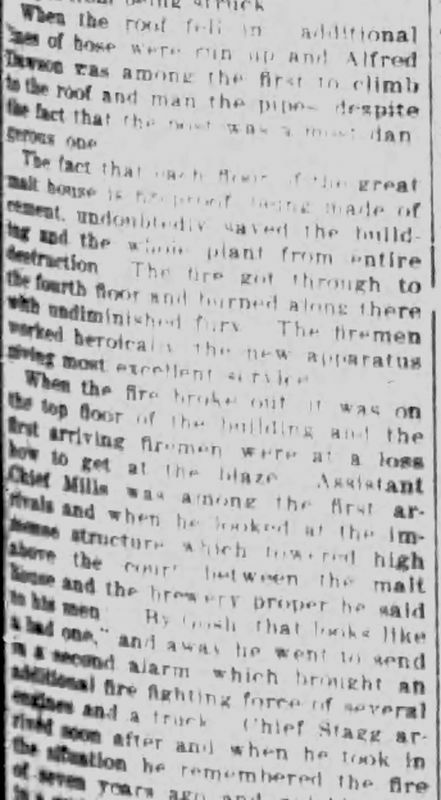 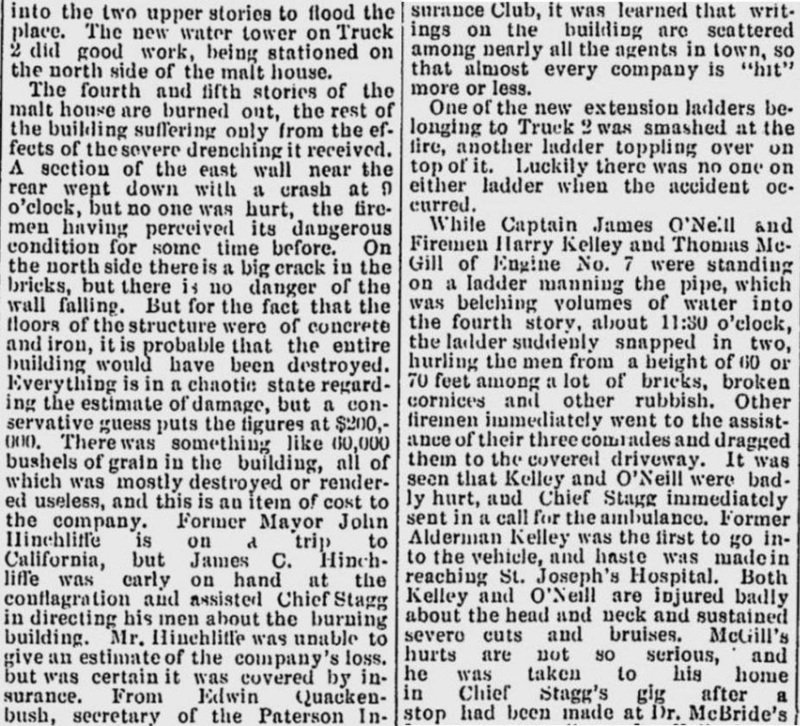 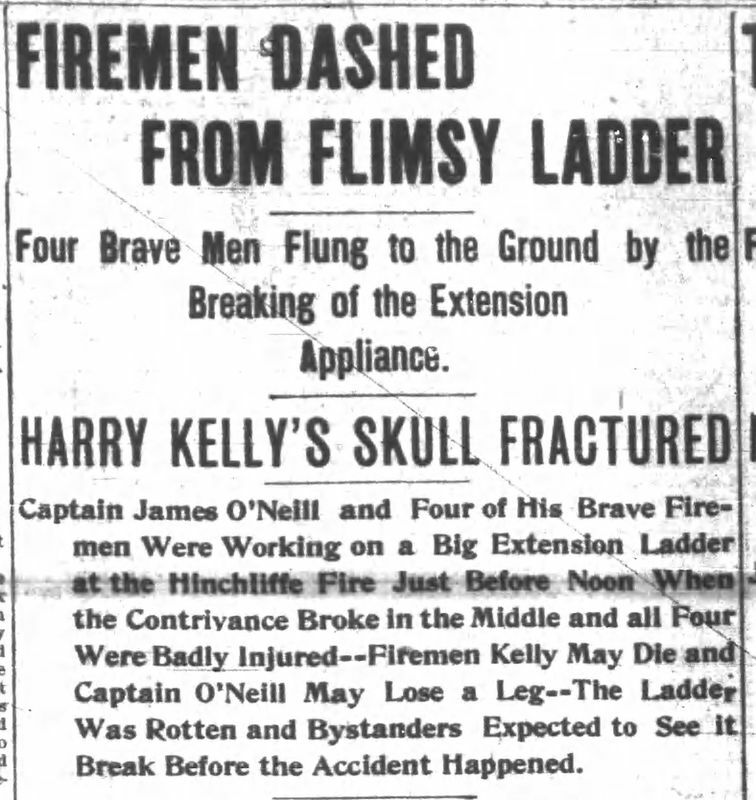 Fireman Harry Kelley was the first fireman of the fully paid department to make the Supreme Sacrifice at this fire. 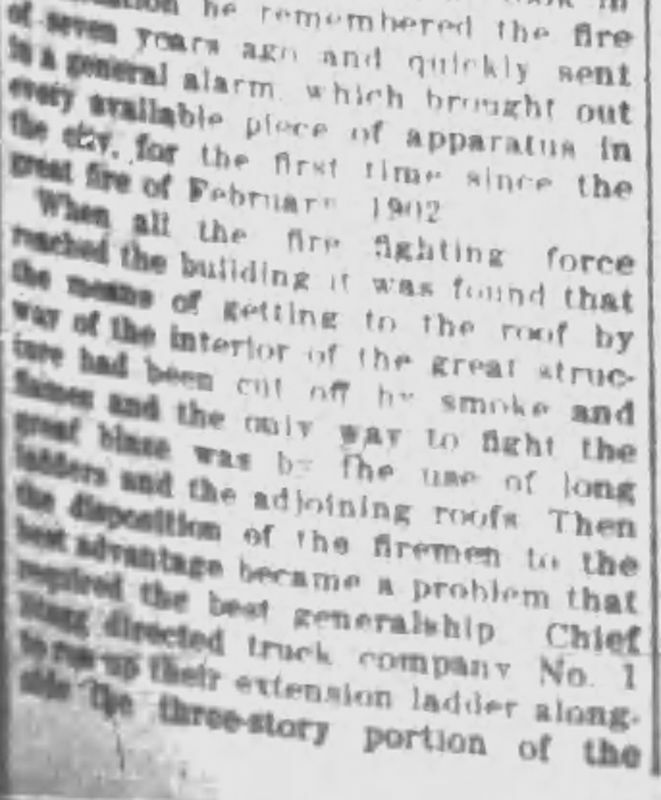 Close review shows the extended aerial of Truck 2 (had 75' aerial ladder), a 65' ladder of T3 and a steam fire engine on the right and firemen on the roof. 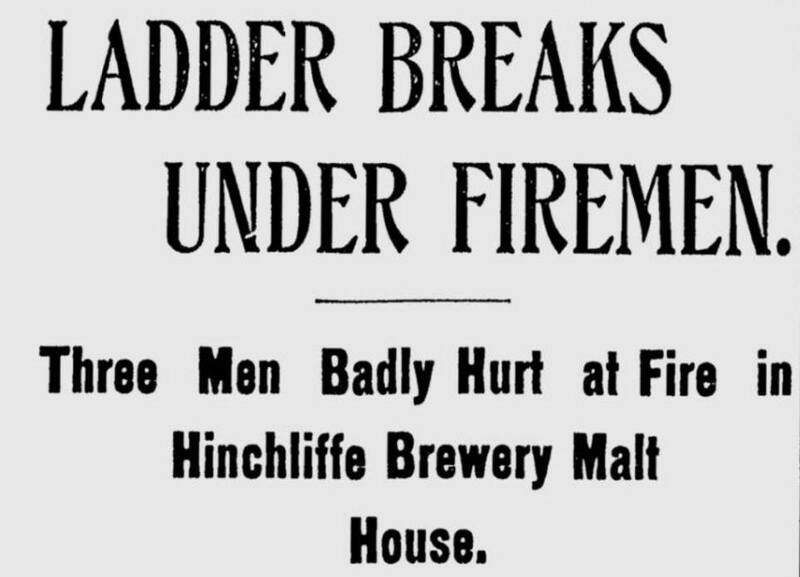 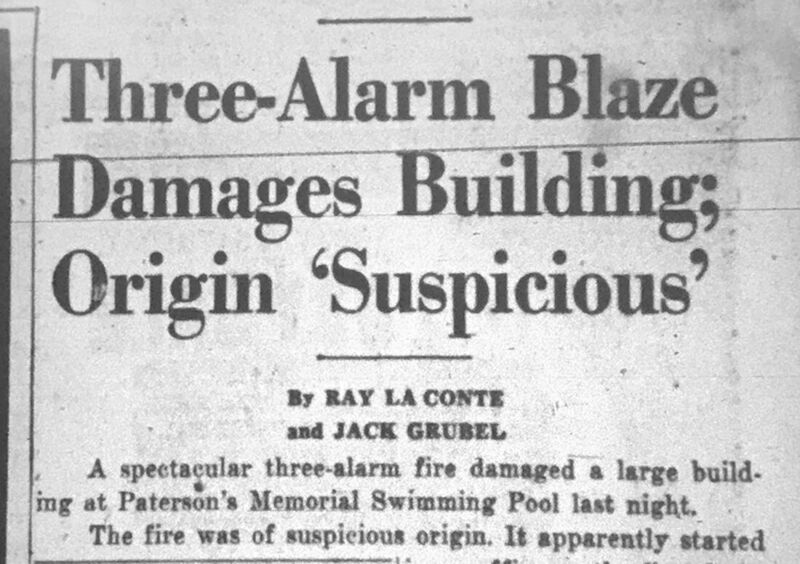 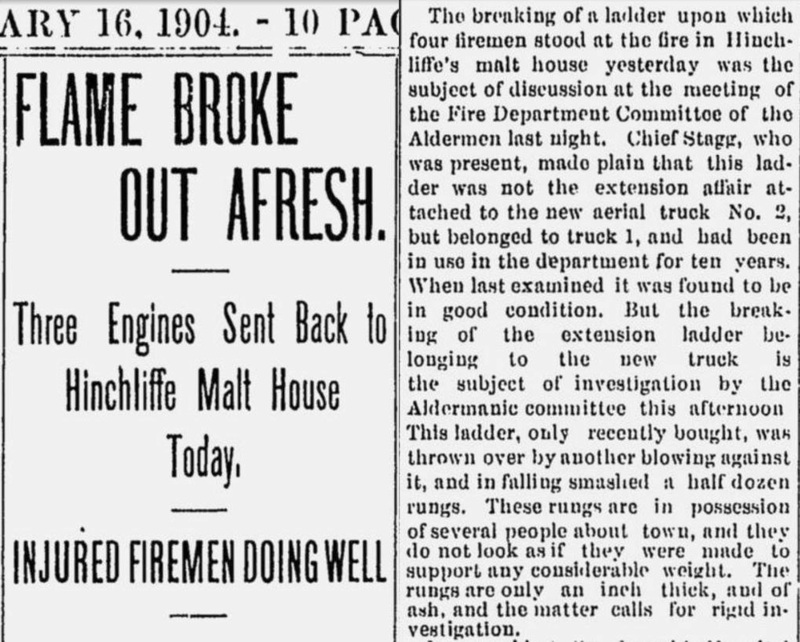 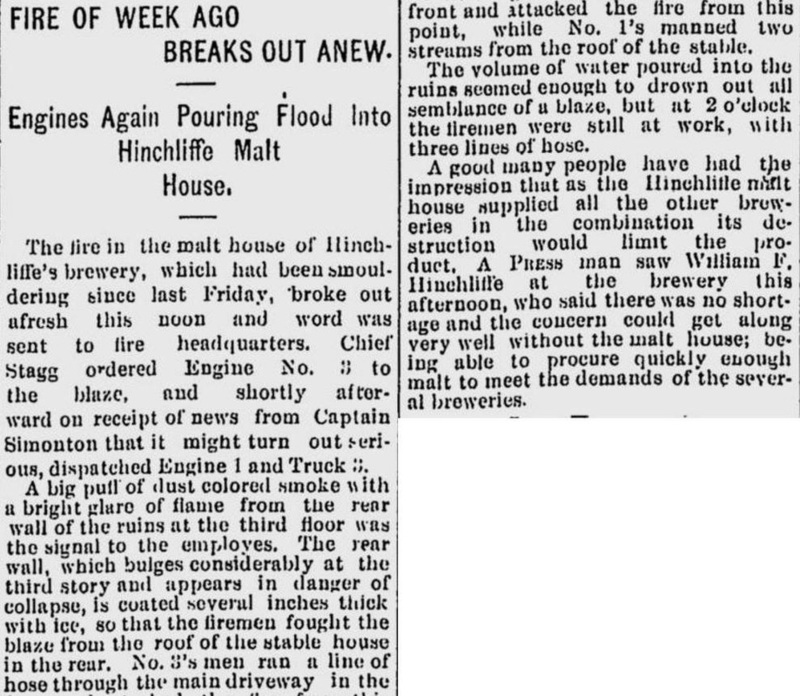 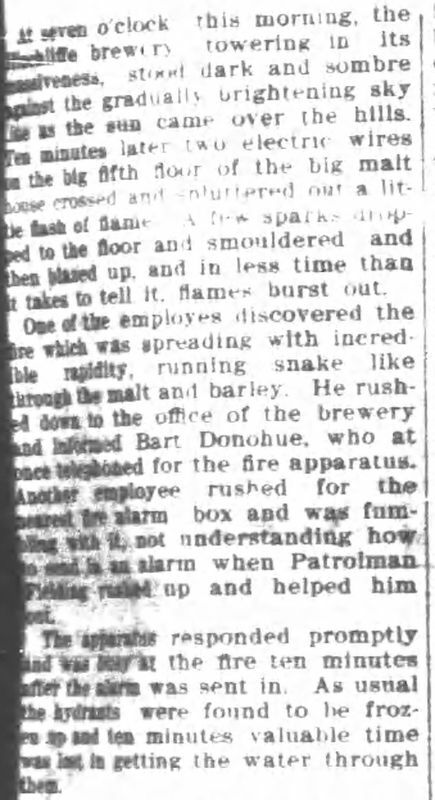 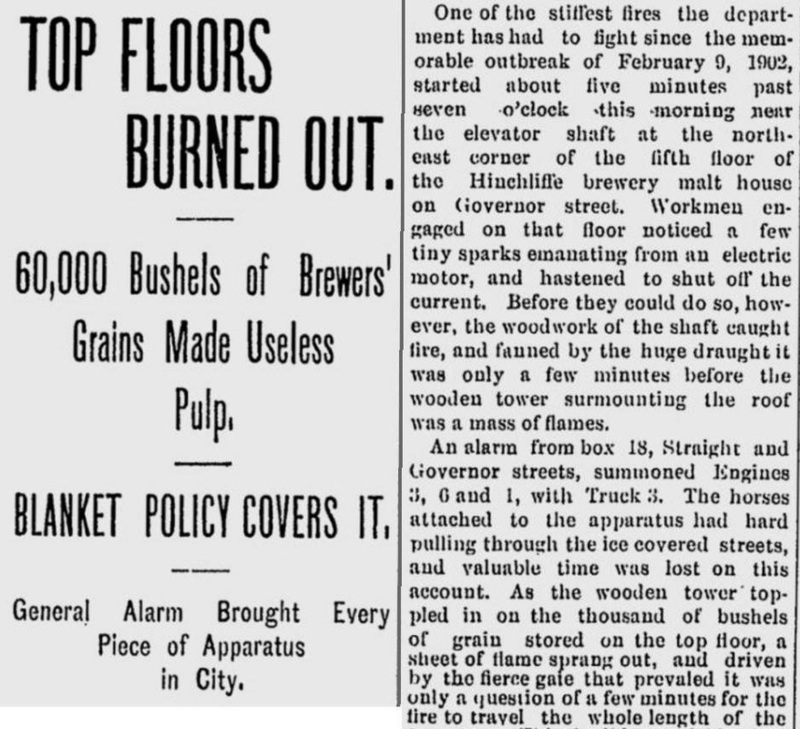 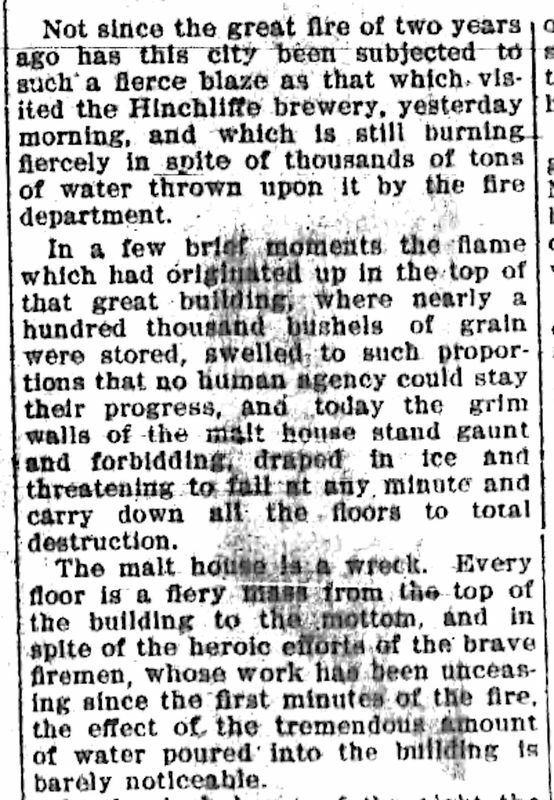 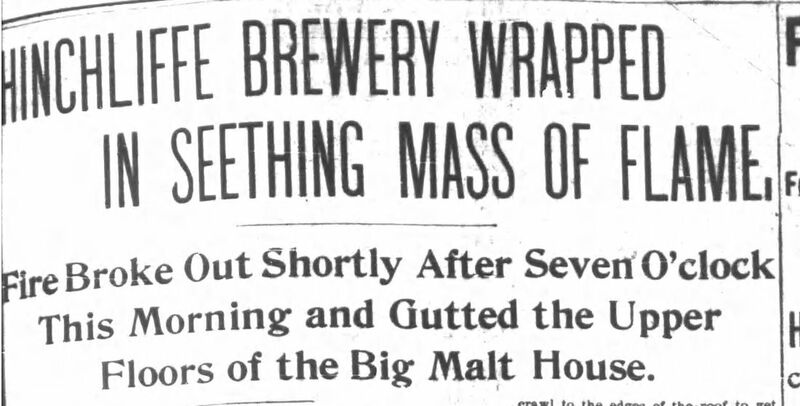 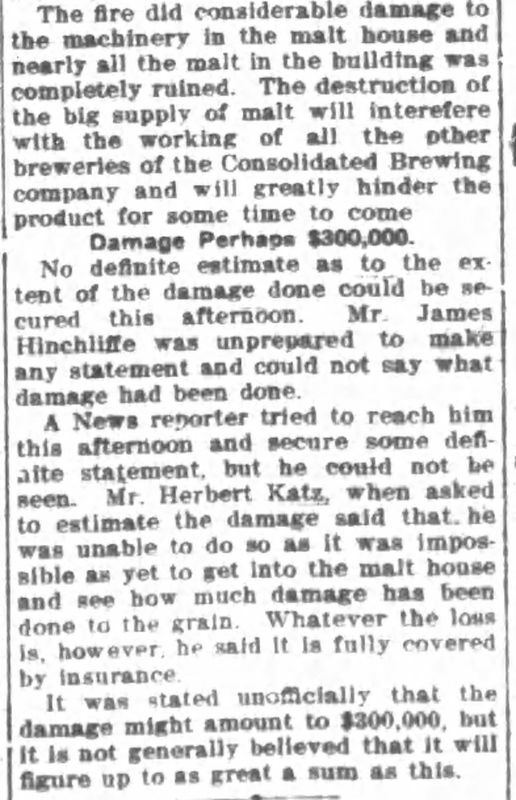 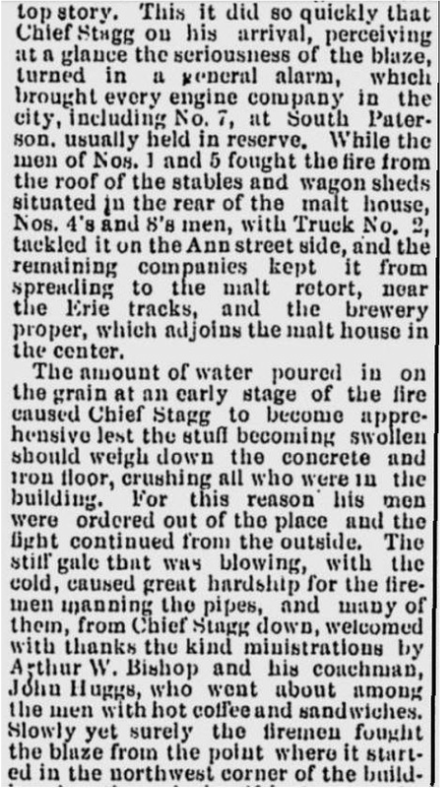 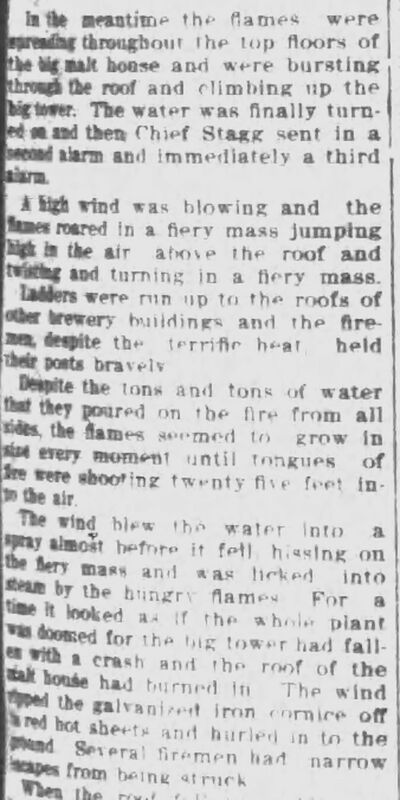 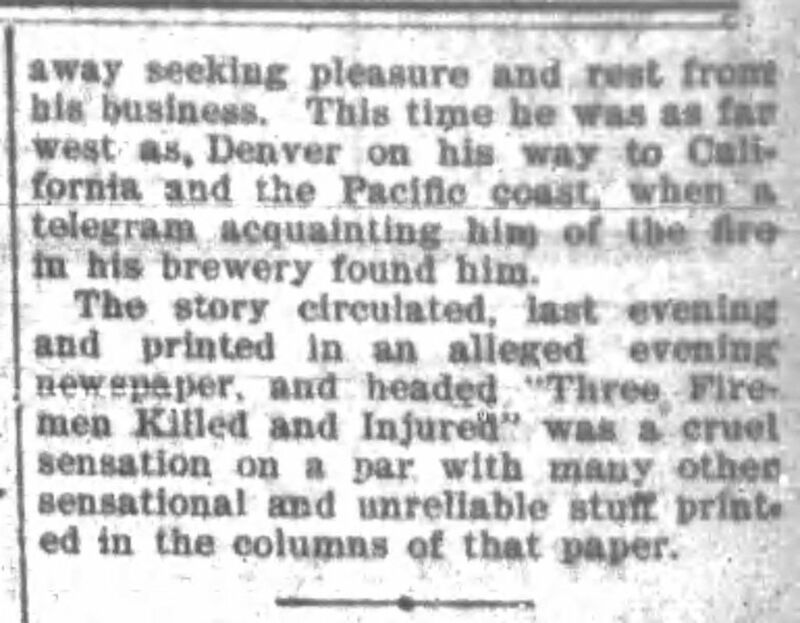 Here are the actual newspaper reports of the day: it is a fascinating read.